Out of stock since Friday, 8 June 2018. Due back soon. HyCOMFORT Cushion Girth is shaped for comfort. 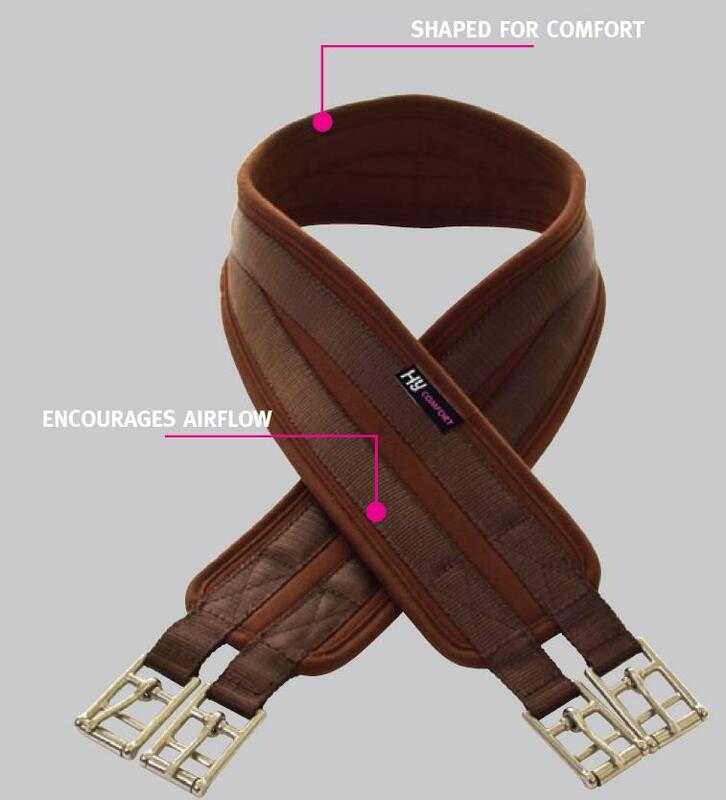 It encourages airflow to allow the girth to breathe without chaffing or rubbing. Strong, with Stainless Steel roller buckles. There are currently no questions for HyCOMFORT Cushion Girth - be the first to ask one!